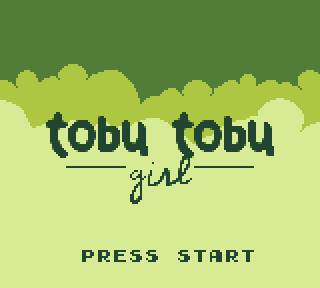 Back in late 2017, a little two-man company called Tangram Games released a homebrew GameBoy title called Tobu Tobu Girl. I became aware of Tobu Tobu Girl just before it hit the internet (digitally) and Tangram Games' shop page (physically), but ignored both iterations for some time after that because I assumed it wouldn't be very good. In the immortal words of Vivian Ward, Julia Roberts' character in Pretty Woman, "Big mistake. Big. Huge!" 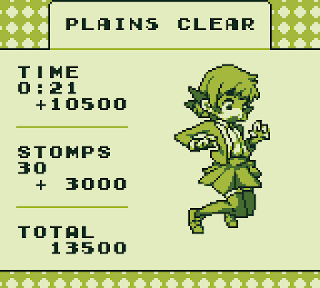 You see, after I finally got around to trying Tobu Tobu Girl, I basically spent the next six or so months slapping myself silly for failing to nab a boxed copy of it. If only I'd watched GameBoyle's BoyCurious Tobu Tobu Girl review earlier. 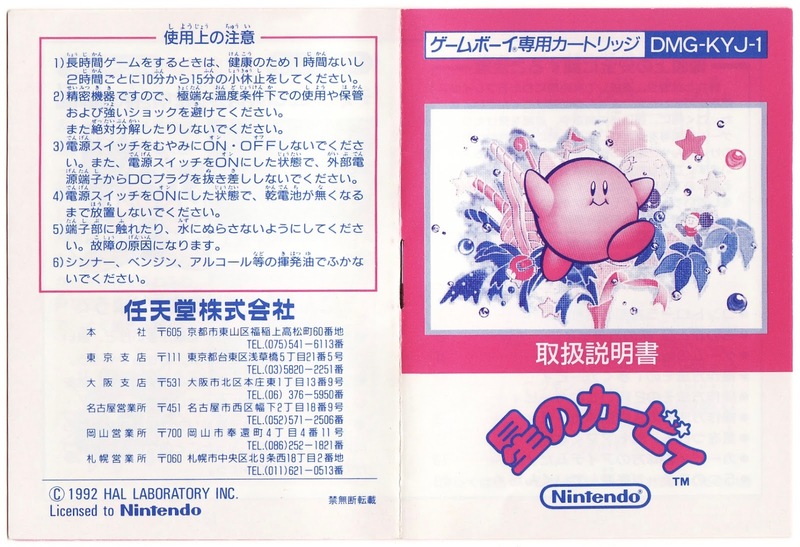 In it, host Mat declares this to be one of the best titles he's played on Nintendo's first handheld game console. That sounds like a ridiculous claim, I know. 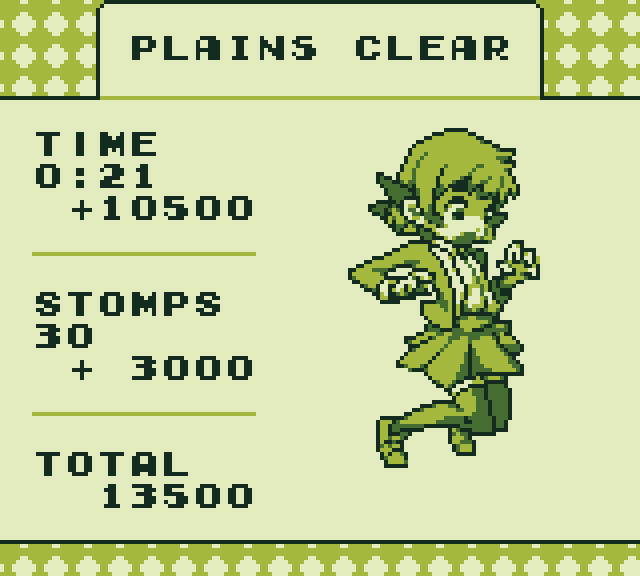 But after putting more hours than I'd like to admit into it, I can say with some confidence that Tobu Tobu Girl actually is one of the finest GameBoy games around. Tobu Tobu Girl both looks, feels, and sounds--this last bit is thanks to artist potato-tan--like something Nintendo or maybe HAL Laboratory would produce. Every single aspect of it is as clean and tight as can be. Even better, it's endlessly enjoyable and entertaining--quite a feat when you're talking about a title with just four stages, each of which can be finished in under a minute. 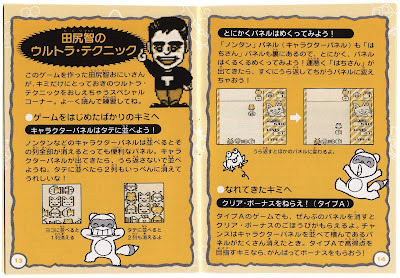 Now you know why I can't seem to shut up on Twitter about the recently launched Kickstarter for Tobu Tobu Girl Deluxe, a GameBoy Color-enhanced reworking of the original. In an effort to raise awareness about both Tobu Tobu Girl and the just-mentioned Kickstarter for its colorized follow-up, I'm finally publishing this interview I did with Tangram Games' Lukas Erritsø Hansen and Simon Larsen well over a year ago. 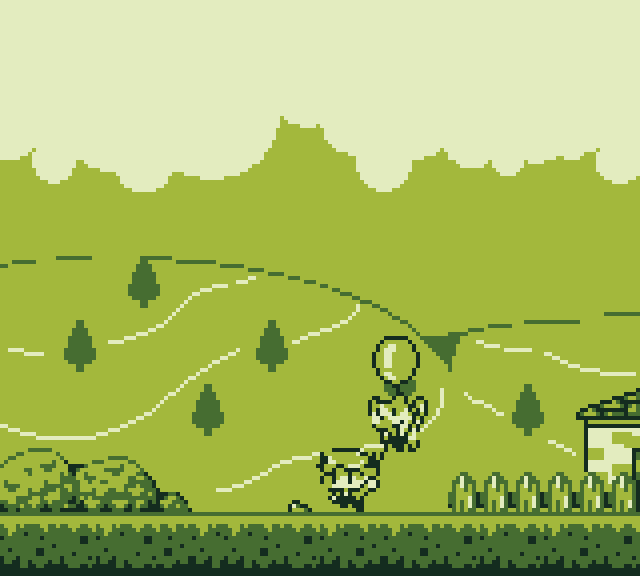 The Gay Gamer: You first started work on Tobu Tobu Girl back in 2014, as part of the third GBJAM game jam. Did you come up with the idea on the spot, specifically for that event? Or had you been thinking of it for a while beforehand? Simon: The idea was something we came up with during the jam. We wanted to make a game with a musical element, where everything in the game would be synced up to the music and parts of the music would be produced by player’s actions. Sort of like a 2D platformer meets Rez. Though what we ended up submitting for the jam was nothing like that. In the end we didn’t even manage to put in any sound at all. The Gay Gamer: The version of Tobu Tobu Girl you produced for GBJAM 3 was pretty different from the one you made available to the masses in late 2017. Why did you change it so drastically? 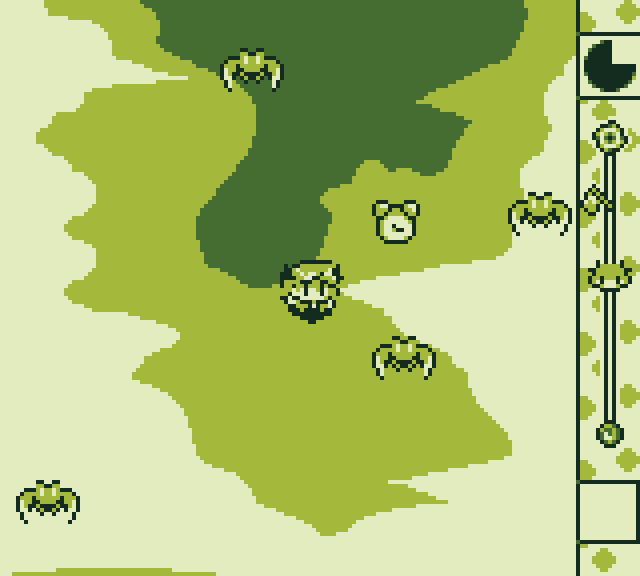 Were you unhappy with how the GBJAM 3 version looked or played? Simon: I think the main reason was simply that the initial idea wasn’t very fun. We initially wanted everything to sync up to the music, but that quickly proved too restrictive so we moved in a more puzzle-like direction. After the jam, we still weren’t very happy with how the game played and kept tweaking the design until we at some point decided that a more arcadey and twitchy gameplay style was simply more fun and closer to something we’d enjoy ourselves. Lukas: Regarding the look of the game, we did intend to keep the style and assets from the jam version. However, during the time that we were working on the game I was at a point of rapidly improving my drawing and spriting skills. About two years into the project, I just couldn’t stand looking at the game, and as such redrew just about every sprite. The Gay Gamer: Can you explain some of the biggest changes you made to the game from its 2014 build to its 2017 one? For instance, the early version was kind of like a single-screen puzzler, while the latest version is more of a twitchy score-attack game. Also, the early version didn't have an HUD, while the latest one does--and you moved it from the bottom of the screen to the side during development. How did you settle on those alterations? Simon: The HUD was added when we introduced power-ups. 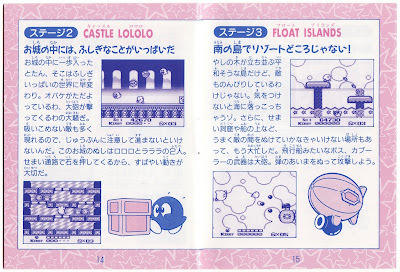 The player would collect orbs scattered throughout the level, and once they had gathered enough, they would be rewarded with a random power-up. The HUD was added in order to show the player how many orbs they had collected, as well as their progress through the stage. Problem was, the HUD covered more than 10 percent of the screen vertically, which made the game significantly harder, so we had to move it to the side instead. 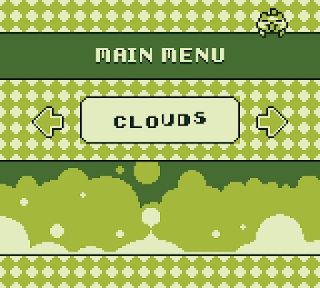 Luckily, this also made the progress tracker much better, as it would now move up vertically along with the player. 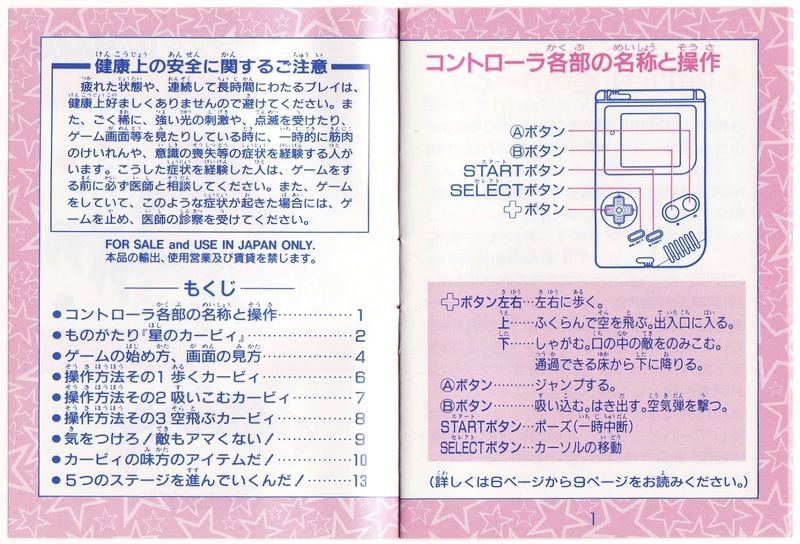 The Gay Gamer: Did you look to any existing games for inspiration while creating the first version of Tobu Tobu Girl? If so, which ones? Simon: I think I’d been playing a lot of Rez and Electroplankton at the time and was in love with this idea of the gameplay influencing or possibly even creating the music as you play. However, in terms of the actual gameplay I don’t think we were really inspired by anything in particular. 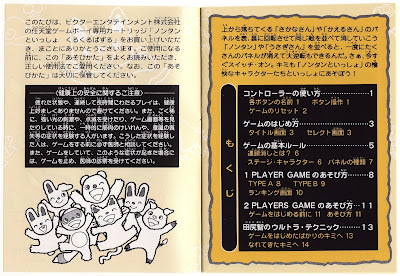 The Gay Gamer: And how about the current version of Tobu Tobu Girl--did your sources of inspiration change at all when went to alter its gameplay? Lukas: I was playing a lot of Ultra Street Fighter 4 at the time. There’s a character in that game that relies heavily on these sort of teleport-like dashes. I really wanted to try to imitate the snappiness that I felt playing that character. As strange as it may sound that ended up being a defining point in the design process. When it came to the actual implementation of that core mechanic, that took quite a few tries and approaches before arriving at what ended up in the game. The Gay Gamer: The first thing that struck me when I saw footage of Tobu Tobu Girl was how much it reminded me of Nintendo's Balloon Kid. 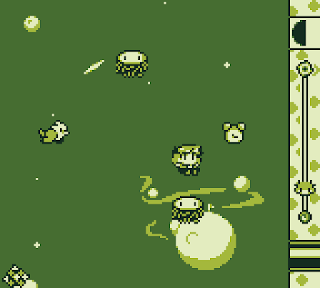 Specifically, your game almost seems like a sideways take on that GameBoy classic. Is that connection intentional or accidental? Simon: Completely accidental. Neither of us actually knew about Balloon Kid when making the game, but I can definitely see where the comparison is coming from. I think Upwell--as in, Downwell but upwards--is more fitting, though that wasn’t something we were really aiming for either. 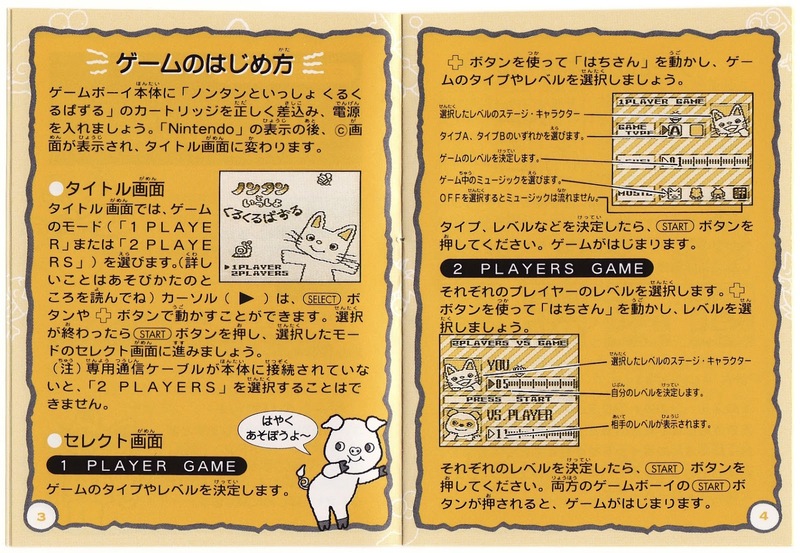 The Gay Gamer: What does the "tobu tobu" part of this game's name mean? A quick check of Jisho.org says "tobu" usually means to fly, soar, or jump. Did you have any particular translation or localization in mind when you came up with the title Tobu Tobu Girl? 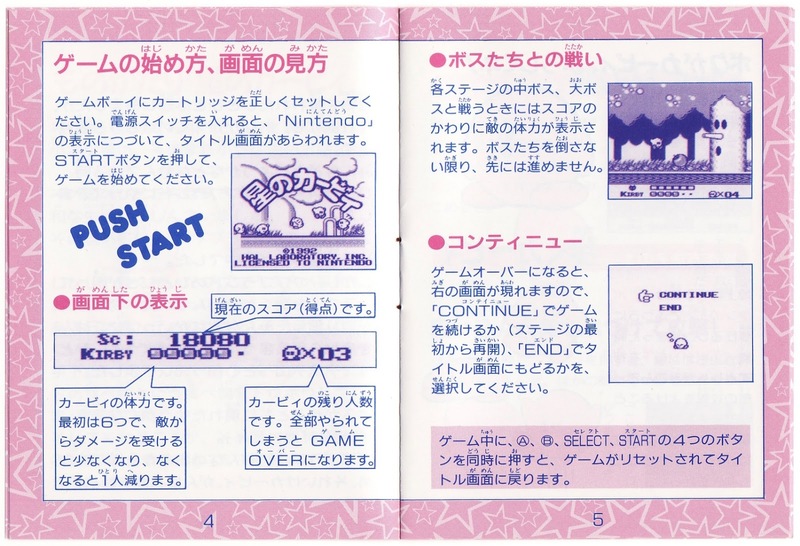 Simon: We don't really have an “official” translation but it is supposed to mean something like “Jump Jump Girl.” The title is an homage to Japanese titles like Noby Noby Boy, Doki Doki Panic, ChuChu Rocket! We are obviously very inspired by Japanese games in general and we wanted the title to reflect that. Same goes for the box art--both for the jam version and the final release. 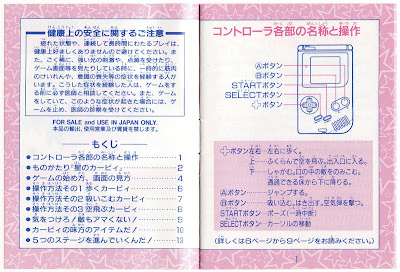 The Gay Gamer: Did you encounter any particular problems or issues while making either version of Tobu Tobu Girl? If so, what were they--or what were the worst--and how did you overcome them? Lukas: Graphics-wise the main challenge came partly from the limited sprite and tile count, and partly from the limited color palette. Making sure the sprites are easily readable from the background was a problem and something I don’t think we entirely succeeded at. In regards to the sprite count, I don’t think there’s any animation used in the actual game that has more than two frames. Due to the limited tile count, I probably spent more time reducing and keeping each background to the allowed amount of tiles than I spent drawing them. Simon: Perhaps the biggest challenge was getting the physical edition ready. You obviously can’t just call some company and have GameBoy cartridges made in 2017, so figuring out how to do that in a feasible and affordable way was quite difficult, and at some point we were convinced it would never happen. Even something as simple as getting high-quality manuals and cardboard boxes manufactured in such a small quantity was not trivial. These challenges are ultimately the reason why the game was so long in the making. In the end it was definitely worth it, though. The Gay Gamer: What are the main challenges of making a GameBoy game that plays on actual hardware? Simon: The main challenge was definitely to make sure the game ran at a nice and stable frame rate. Tobu Tobu Girl game is fairly fast-paced and even the slightest slowdown is very noticeable and is likely to throw you off and kill you. Often we would add some new feature only to have the game suddenly slow down. Then we would have to either optimize it, remove it, or get rid of something else. This can of course be quite frustrating, but it also helps you prioritize which elements are really necessary. Another big challenge was the music and sound effects. 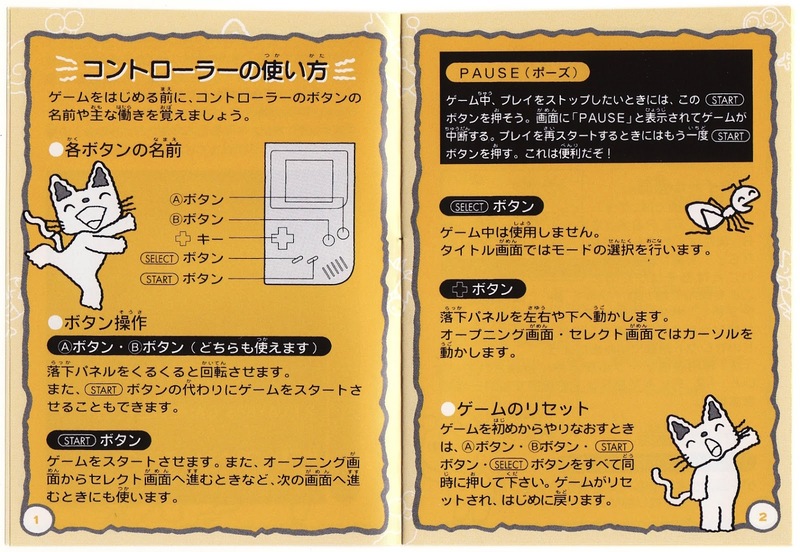 The GameBoy does not really have any functionality for this--you can only tell it to play a certain frequency with a certain wave form at a certain volume. In order to add music, we had to implement a sequencer, which is basically a small program responsible for playing the right notes at the right time. 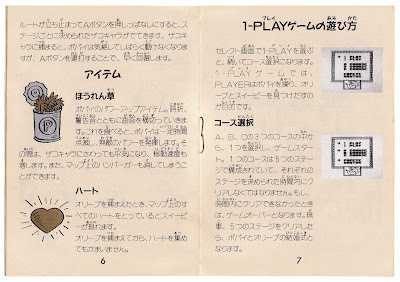 potato-tan, the game’s composer, would write all the music in some weird music notation language we based on MML (Music Macro Language) that we could then convert into something the sequencer understands. 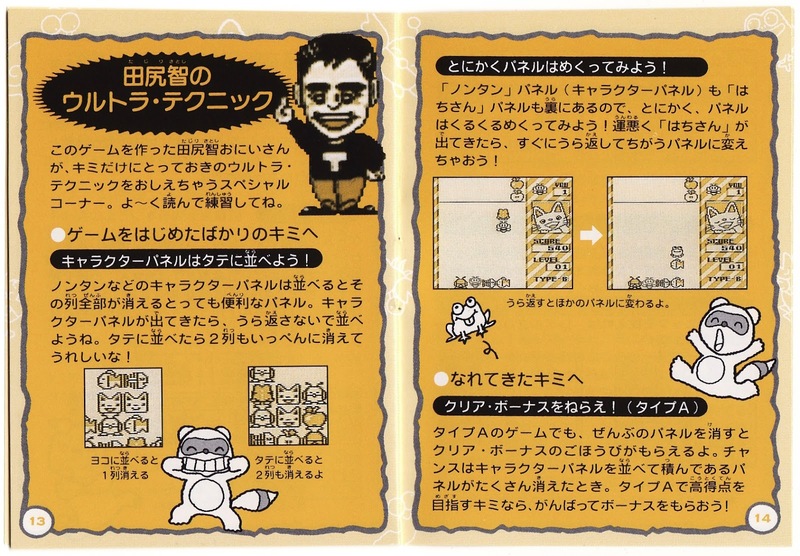 The Gay Gamer: Are you two GameBoy fans yourselves, or did something else spur you to develop a GameBoy game in 2017? 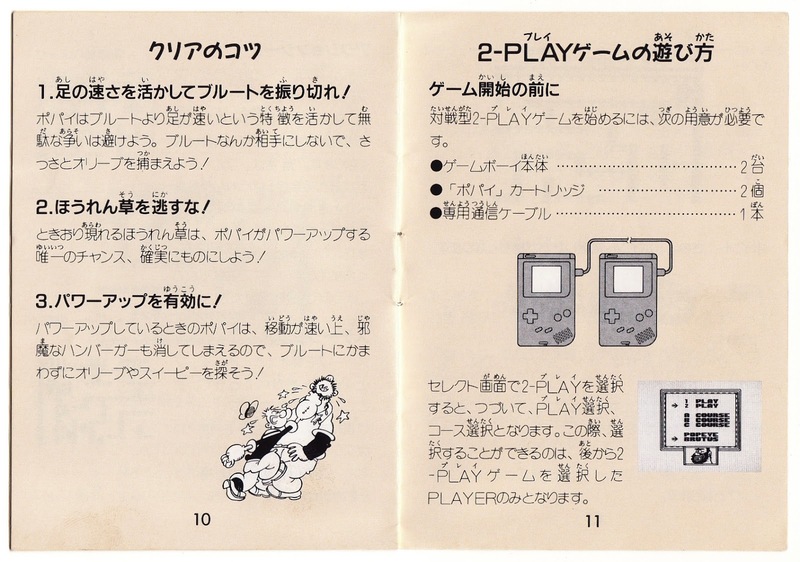 Simon: I used to be a pretty big GameBoy fan. I rarely play on it anymore, but I still adore it quite a lot. It was the first console I owned, so there is obviously a fair amount of nostalgia involved as well. However, I think the main reason is simply that it seemed like a fun challenge. 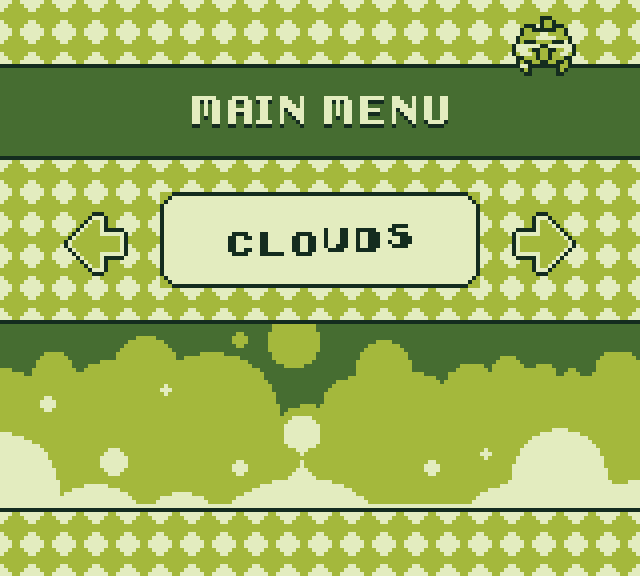 I had played around with making GameBoy homebrew all the way back in 2010. 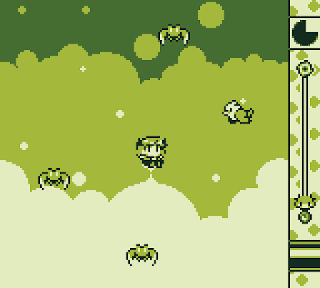 Later in 2013, we wanted to participate in the second GBJAM game jam and decided it would be more fun to make an actual GameBoy game. 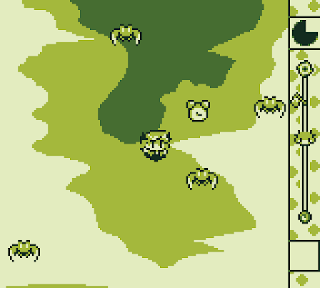 We ended up making an (also unfinished) prototype of a GameBoy game called Super Catacombs. About a year later, we once again participated in GBJAM, this time working on what would become Tobu Tobu Girl. 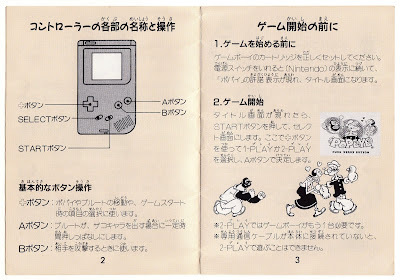 Lukas: I’ve only very recently acquired a GameBoy, though I did own one as a kid. In that regard I’m not much of an actual GameBoy or even retro fan. The main draw was the challenge of making the game run decently on actual hardware. That meant seriously limiting frame count on animations and very laboriously reducing the count of unique tiles on each background. I haven’t said much (if anything?) about it here, on Twitter, or on Facebook, but I absolutely love Tobu Tobu Girl. 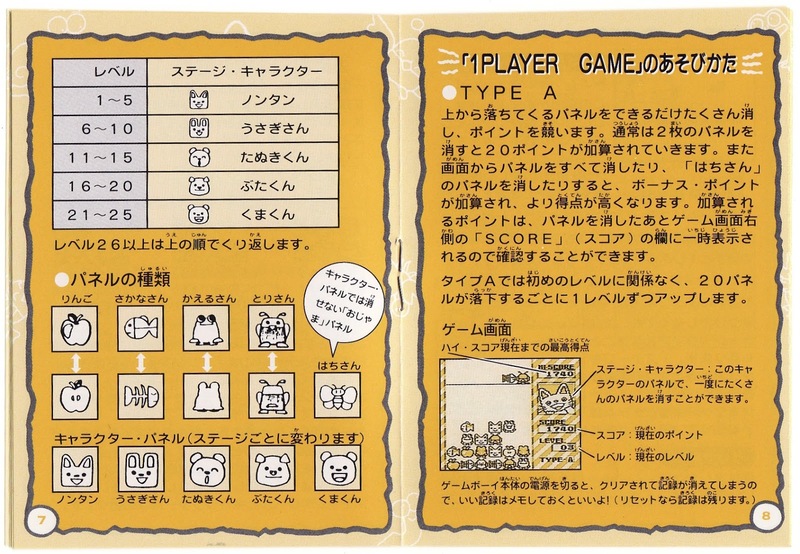 If this is the first you’re hearing of it, Tobu Tobu Girl a homebrew GameBoy title that was made by Tangram Games--though potato-tan produced its brilliant soundtrack--and released back in late 2017. In a nutshell, Tobu Tobu Girl is an old-school arcade-action game. 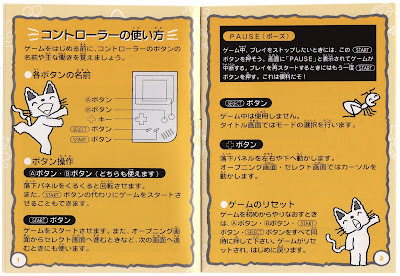 I like to think of it as Nintendo’s Balloon Kid turned on its side, although that description isn’t entirely accurate. Still, hopefully it puts a pleasant picture in your head. Why am I bringing up all of this now? Because the guys at Tangram just launched, with the help of with First Press Games, a Kickstarter for Tobu Tobu Girl Deluxe. 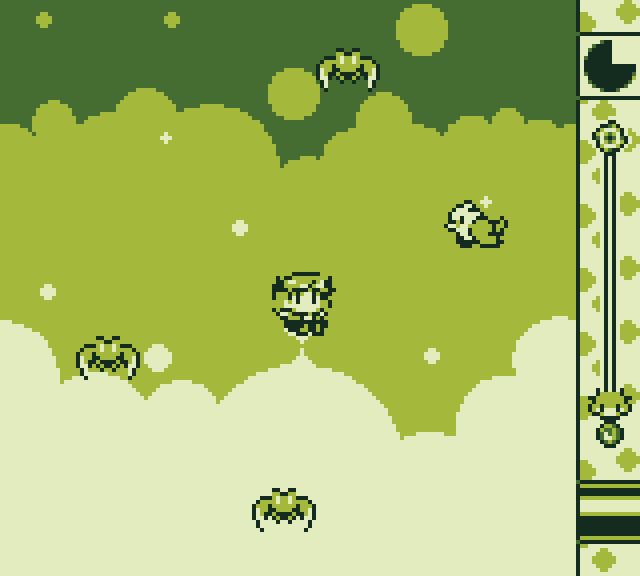 Tobu Tobu Girl Deluxe basically is a GameBoy Color-esque reworking of the original title--though like any GBC game, it’ll play on original GB hardware, too. Anyway, between now and May 4, people can pledge money toward physical copies of Tobu Tobu Girl Deluxe via the Kickstarter in question. 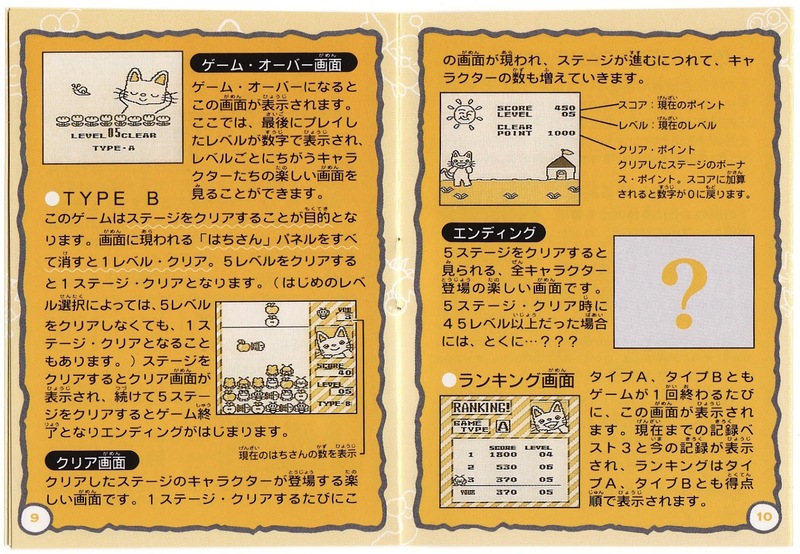 For $55 or more, you can secure a “Regular Edition” copy of the game, which includes a cartridge, a cartridge case, an outer box, an inlay that holds the cartridge and case, an instruction manual, and a collector’s coin. 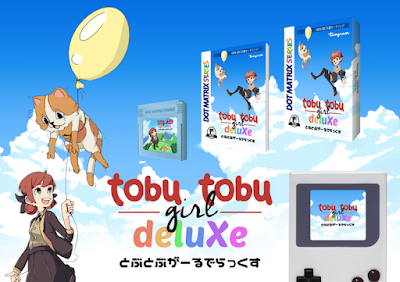 For $70 or more, you can secure a “Limited Edition” copy of Tobu Tobu Girl Deluxe. This version includes all of the above plus a double-sided poster and potato-tan’s marvelous soundtrack pressed onto a pair of mini-CDs. Not quite ready to drop that kind of cash on a game you’ve yet to play? Go try the original release of Tobu Tobu Girl. The ROM is free and should be playable on any GameBoy emulator. I don't know about you, but something I expect from any Kirby game manual is a ton of adorable illustrations of the pink puffball himself. 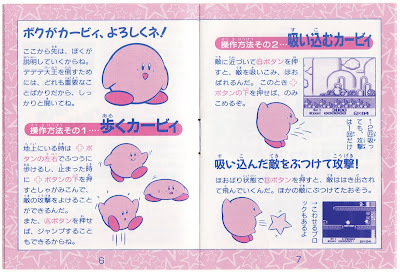 Sadly, the Hoshi no Kirby instruction manual disappoints mightily in that regard. 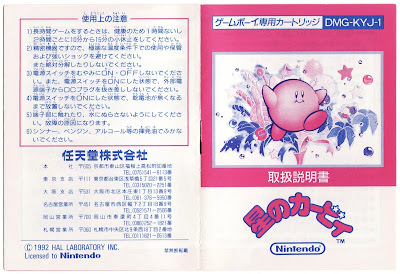 Sure, it offers up a few nice Kirby drawings, but I thought I'd find a lot more than a few in this particular booklet. Oh, well. It's still worth ogling. 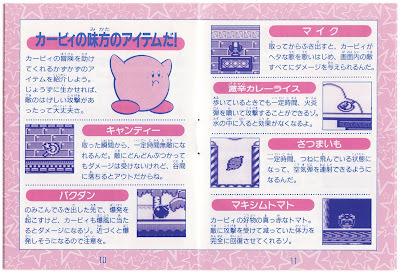 One case in point: the rather fabulous border that lines each and every page of the Hoshi no Kirby--Kirby's Dream Land elsewhere in the world--manual. Seriously, it's bubblegum pink and it's filled with stars. What more could you ask for in this kind of situation? 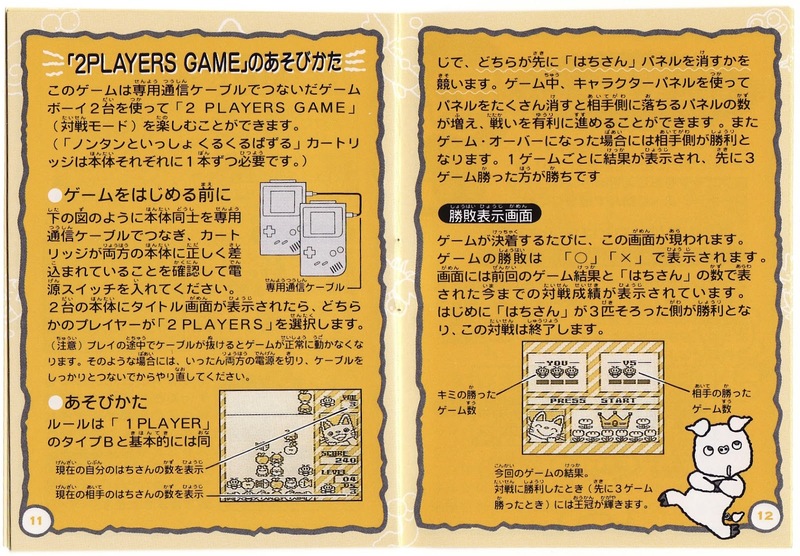 This booklet is similarly filled with screenshots of the game, of course. Normally that would prompt an unenthusiastic yawn from me, but here they're colored to complement the rest of the manual's color scheme, so instead it produced a mildly appreciative nod of the head. This next page, on the other hand, is like a stab through the heart. 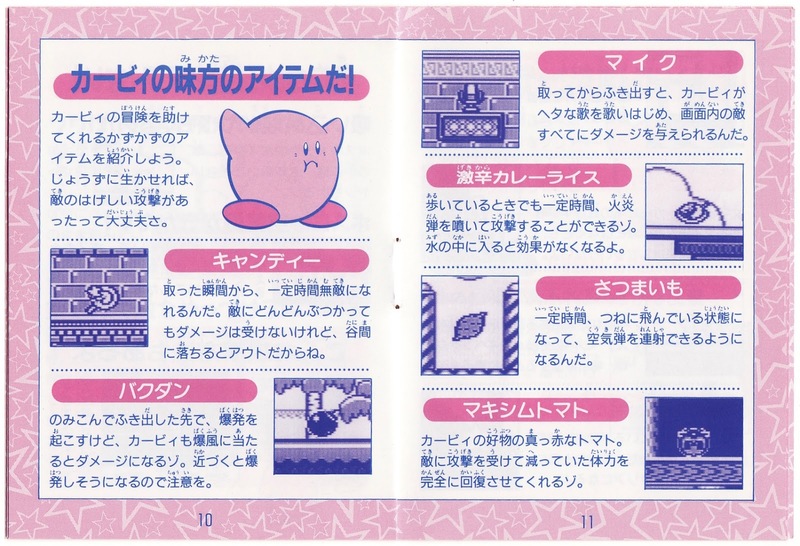 No one at HAL Laboratory or Nintendo could be bothered to whip up some line drawings of Hoshi no Kirby's items? The game only has a handful, after all. Plus, I can't imagine reproducing them in illustrated form would be much of a challenge. 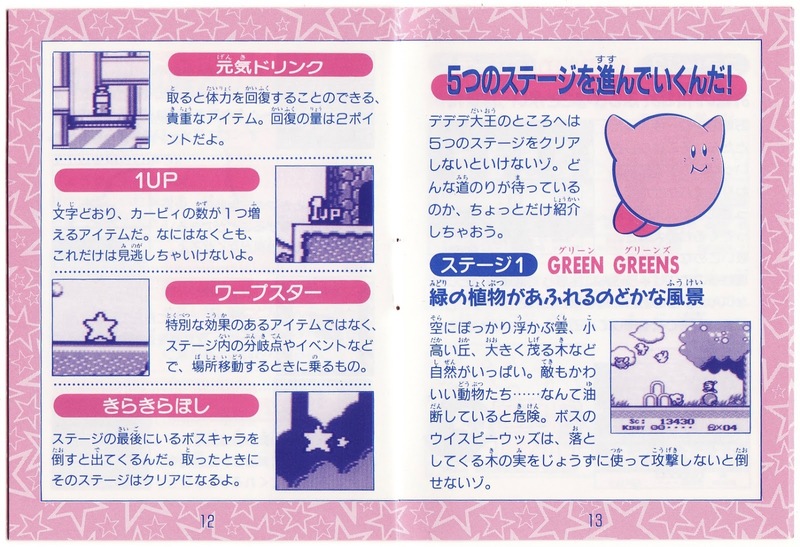 To be honest, the only illustrations that impress here are found on the Hoshi no Kirby instruction booklet's last couple of pages. 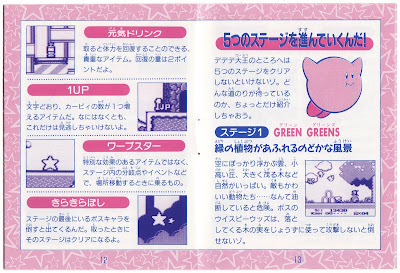 These pages detail the game's five stages, by the way. 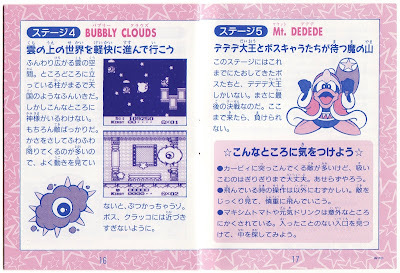 Speaking of which, I love their names--especially "Float Islands" and "Bubbly Clouds." 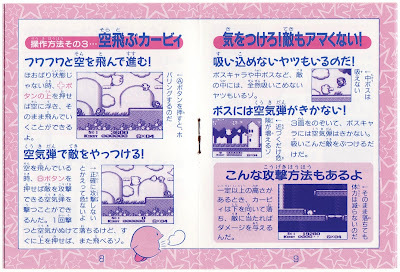 Now that you've taken a gander at the Japanese Kirby's Dream Land manual, what do you think of it? 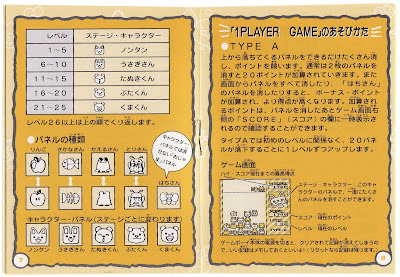 Fun fact: Pokémon developer Game Freak had a hand in making the Super Famicom version of this adorable puzzler. 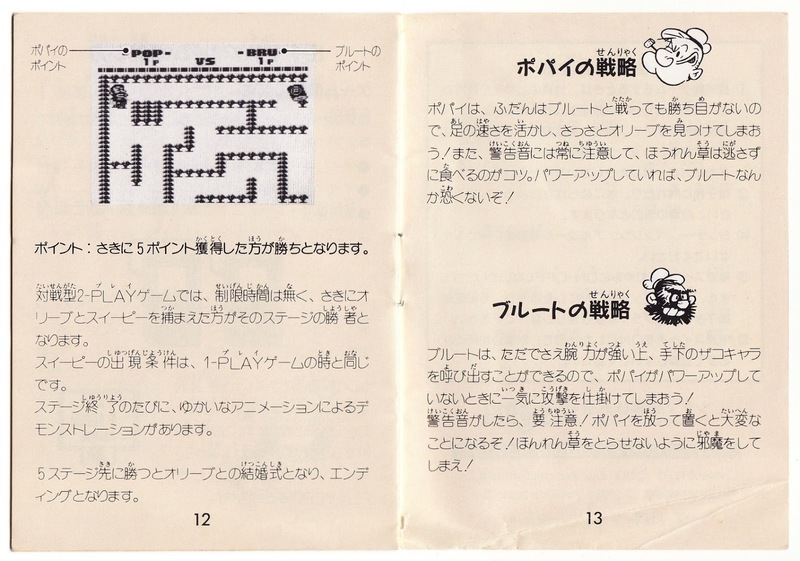 They seemingly had nothing to do with the original GameBoy release, though, which hit Japanese store shelves back in early 1994. So who made it? Access, a company I'd never heard of before I started researching this post. Sadly, I can't tell you how the two titles compare to one another. 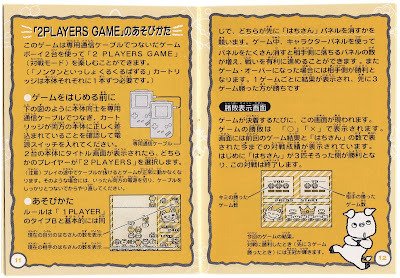 Based on what I've seen of the Super Famicom iteration, its gameplay mirrors what's offered up by the GameBoy cart. 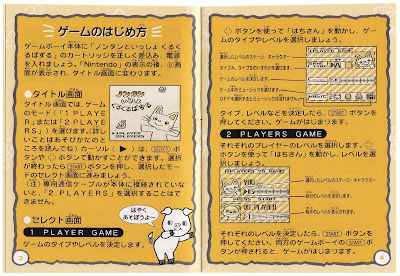 As for what Nontan to Issho Kuru Kuru Puzzle's gameplay is like, imagine your typical match-two puzzler. (Yes, I said "match two" and not "match three" here.) Then alter that image in such a way that you can flip each of the game's pieces to see their backsides. Sadly, that aspect of Nontan to Issho Kuru Kuru Puzzle isn't as thrilling as it may sound, but it still adds a unique twist to this overdone--at the time, in particular--genre. 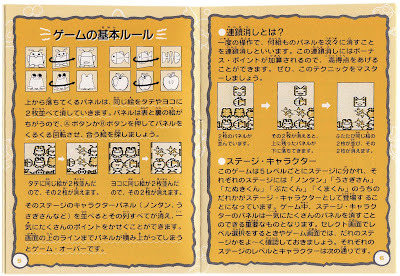 With that out of the way, let's focus on the Nontan to Issho Kuru Kuru Puzzle instruction manual. As you can see, it's very yellow-orange. 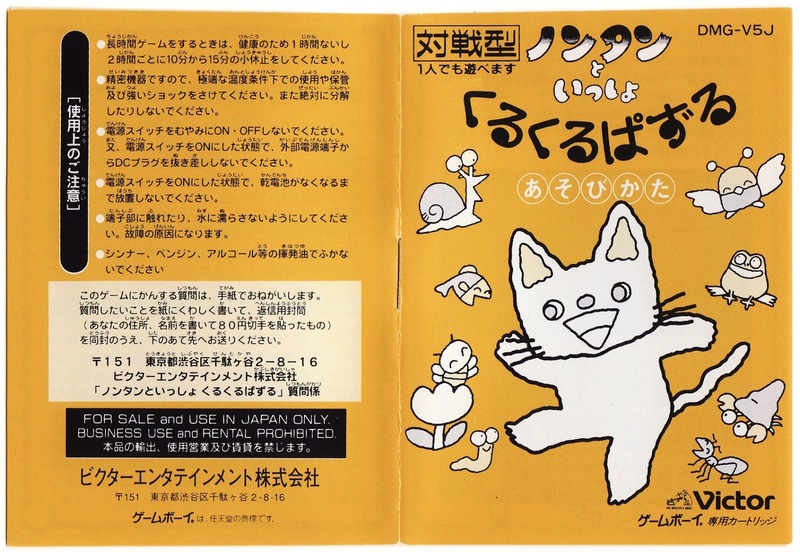 It also features some nice illustrations of cute animals. I think it could feature a lot more of the latter, though. 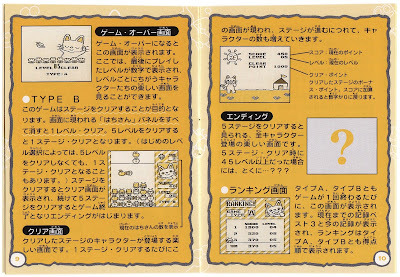 I also think it could feature bigger and better illustrations of the game's puzzle pieces. 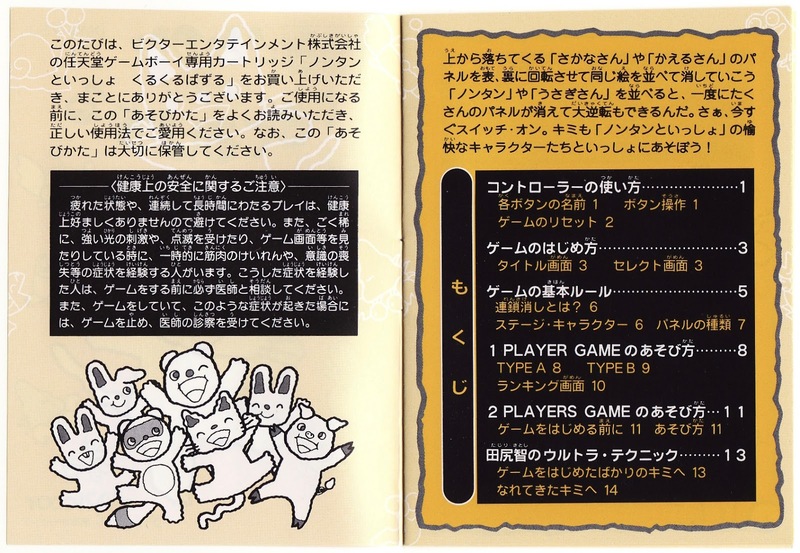 In the end, the Nontan to Issho Kuru Kuru Puzzle manual is more about explaining how to play the game than it is about forcing oohs and aahs out of readers. To be honest, I can't blame the designers at Victor Interactive for going this route. Instruction manuals are supposed to educate people, after all. Still, a little visual pizzazz would've gone a long way here, if you ask me--especially given this game's youthful target audience. Don't feel bad if this is the first you're hearing of this game. After all, it was only released in Japan and it was both made and published by the unheralded Sigma Enterprises, Inc.
Plus, it isn't exactly a gem. It also isn't a turd, though. So what is it? 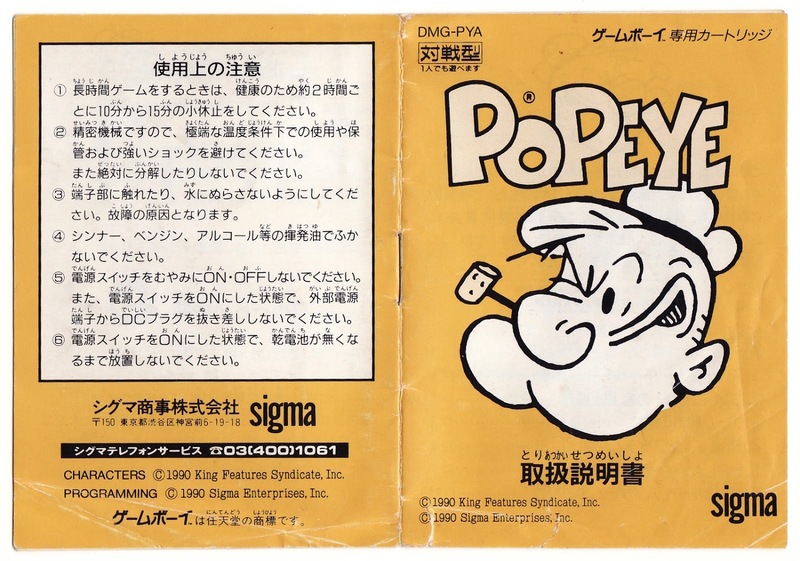 Ignoring discussions of its quality for a second, this portable Popeye is, at its core, an overhead action game set in a handful of maze-like stages. Some folks might even call it a Pac-Man clone, although I wouldn't go that far myself. 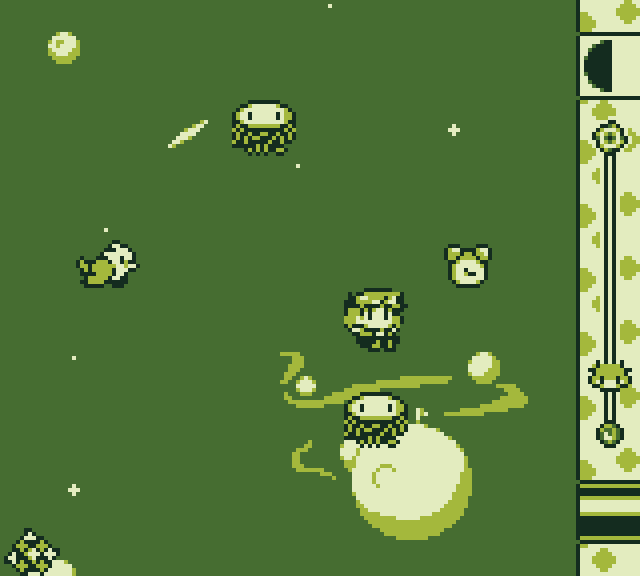 Regardless, it's an enjoyable enough GameBoy title. 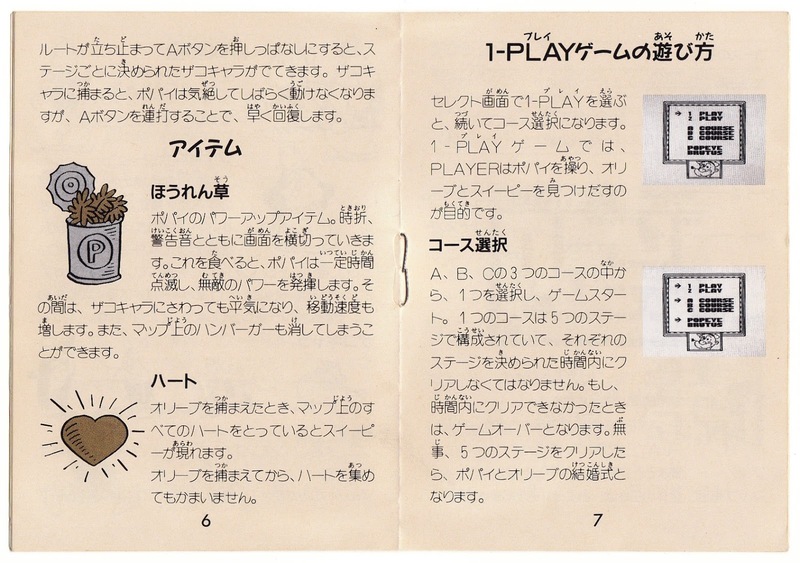 Another enjoyable aspect of this 1990 release: its instruction manual. Things get off to a rather iconic start with the cover illustration seen above. The game's story comes next--not that I can tell you anything about it. 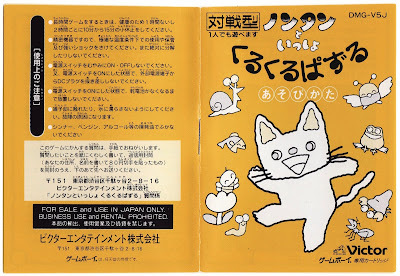 Maybe some kind reader can translate it for those of us who know little or no Japanese? 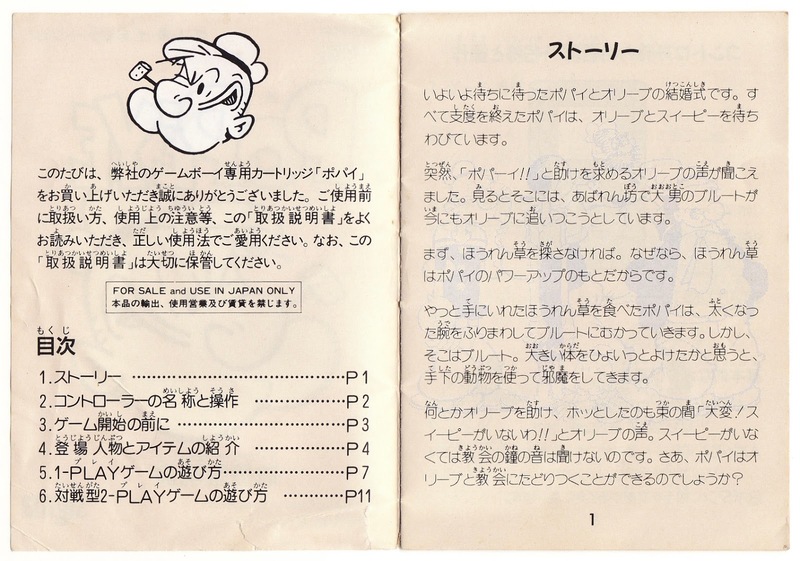 Next up, we've got a page detailing Popeye's controls and game modes. 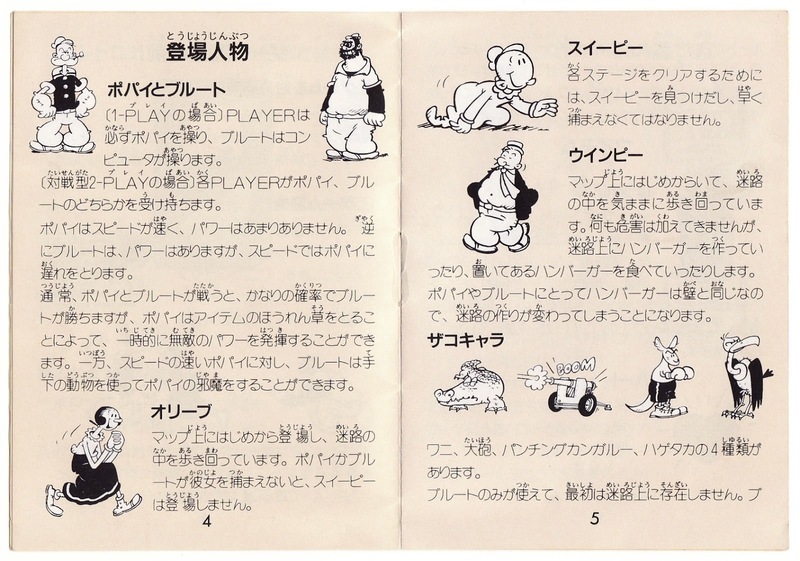 Interestingly enough, the two-player mode allows one person to control the husky, bearded Bluto--I'm guessing in a race to win the heart of Olive Oyl? 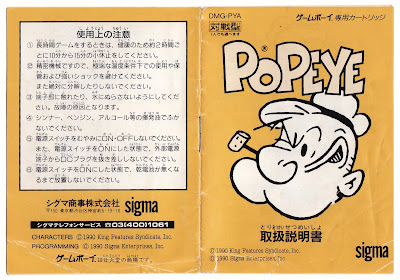 The spread above highlights Popeye's cast of characters. Swee'Pea is the baby shown at the top of the right-hand page, by the way, while the guy beneath him is Wimpy. 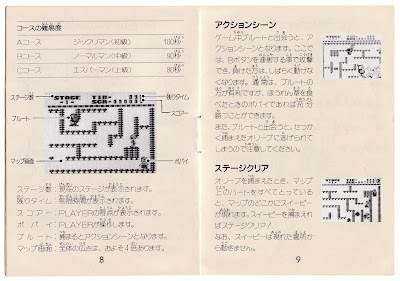 Oh, and those creatures near the bottom of the same page? 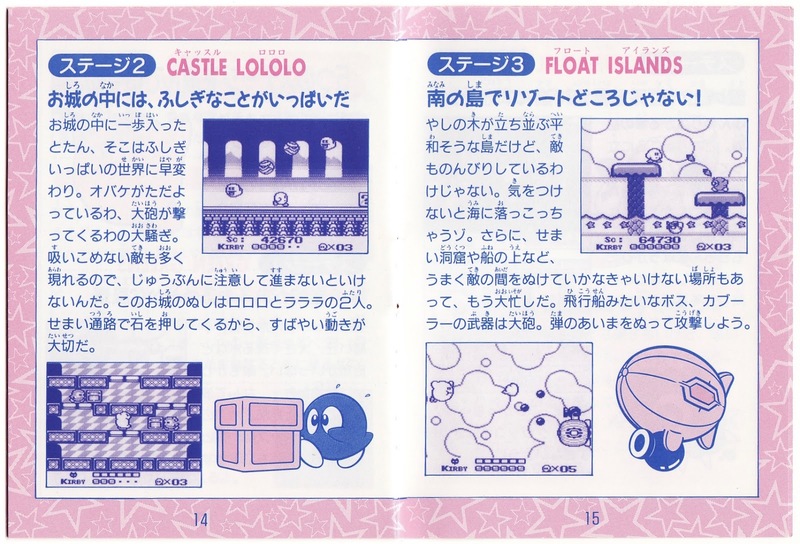 Bluto tosses them around each stage to trip you up. Run into one of them and you'll be knocked out for a few precious seconds. 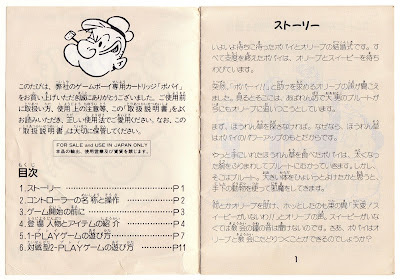 As you might expect, the Popeye instruction manual includes a page about the game's items. Sadly, there are only two: a can of spinach and a heart. The can of spinach flies across a level at seemingly random moments. Catch it, and not only does Popeye become faster and stronger (the latter makes it easier to beat Bluto in a tussle), but he also can topple any obstacle that gets in his way, such as an alligator, a cannon, or even a hamburger. 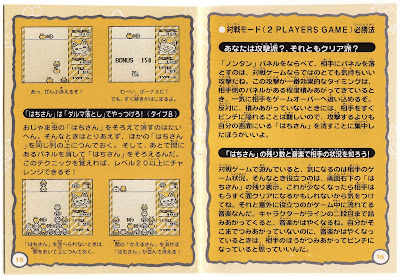 The folks who pieced together the Popeye manual waited until the seventh page to explain how the game works. That explanation continues on pages eight and nine. 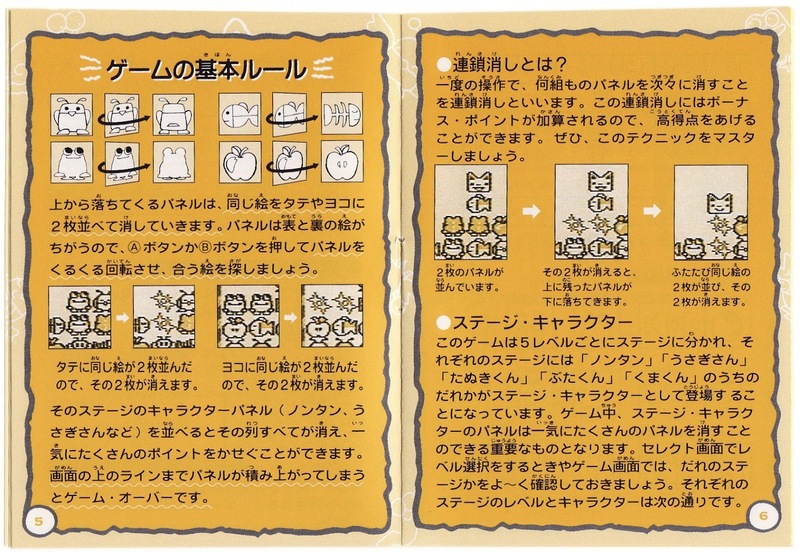 I'll do a deeper dive into this in an upcoming review of the game, but here's the gist for now: to clear each stage, you need to grab the hearts that are lying around, find Olive Oyl, and save Swee'Pea. Swee'Pea only shows up after you've accomplished the first two tasks, though, so start with those. 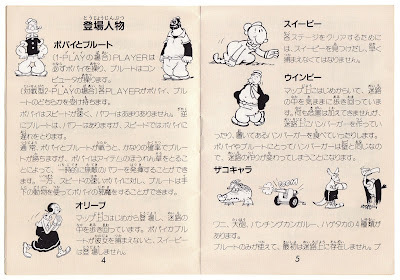 I'm not entirely sure what information the left-hand page above is supposed to pass along to readers, to be honest, though I think it may be giving hints on how to beat Bluto in the one-on-one fights that happen whenever he and Popeye touch. 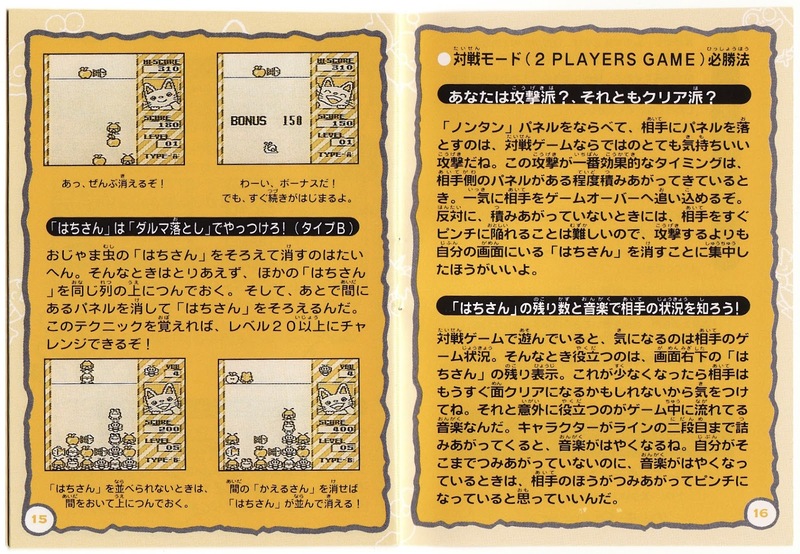 The manual wraps up with some words about Popeye for GameBoy's two-player mode. I've yet to experience this mode myself, so I sadly can't tell you how it differs from the solo campaign (if at all). Actually, I bought 16 3DS games last year if you count my Japanese and North American copies of Dillon's Dead-Heat Breakers separately. 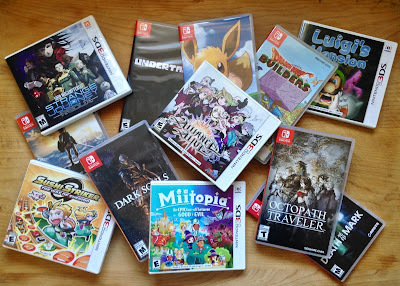 Which other 3DS games did I purchase in 2018? 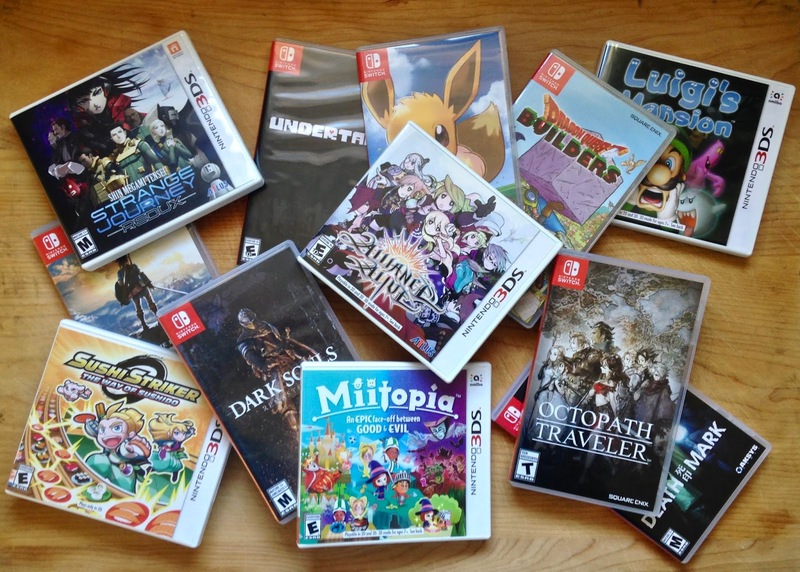 The most impressive aspect of this whole thing--or at least it's impressive to me--is only three of the 3DS titles I picked up last year were small eShop offerings. All the rest were full-fledged (and often full-priced) experiences. Although there's no doubt in my mind I'll buy fewer 3DS titles in 2019 than I did in 2018, I don't expect that number to drop to zero. In fact, zero is an impossibility at this point, as a couple of weeks ago I purchased a copy of Kirby Triple Deluxe. And not only that, but two other 3DS carts--Etrian Odyssey Nexus and Yo-kai Watch 3--are on their way to me as we speak. Two others--Kirby's Extra Epic Yarn and Persona Q2 will join them in March and June, respectively. Plus, I'm seriously considering picking up Detective Pikachu, Etrian Mystery Dungeon 2, Persona Q, and Yo-kai Watch Blasters as well. I don't suppose any of you are still buying and playing 3DS games these days? If you are, let me know which ones you're planning to buy or play this year in the comments section below. 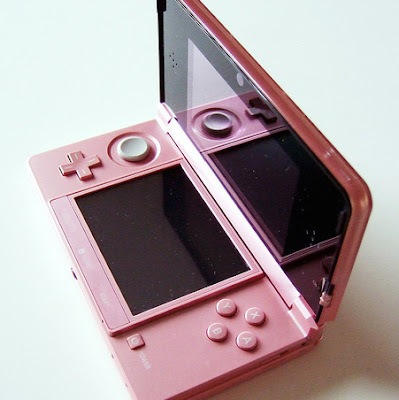 I don't know about you, but the 3DS has spoiled me as far as tracking the time I spend with games is concerned. And let there be no doubt: I like tracking the time I spend with games. Why? I honestly have no idea. I guess it's just pure curiosity--as in, I think it's interesting to see how much time I put into the games I play (especially ones I finish). Anyway, because none of my other systems track play time like my 3DS does, I have to track it the old fashioned way--by keeping my eye on the clock as I play and then compiling the results in a text file after I'm done. If you'd like to learn a bit more about some of these games, by the way, click on the links above. Also, do you keep track of how much time you spend with games? If so, share your 2018 stats with me via a comment. In my last post, I declared Black Bird and Sushi Striker my absolute favorite games of 2018. While wrapping up that write-up, though, I said I liked a handful of other 2018 titles nearly as much as that pair of headline-grabbers. 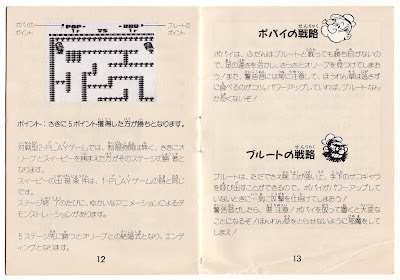 The seven games highlighted here represent the "handful" in question. The Alliance Alive (3DS)--Earlier in the year, I was all but certain this Cattle Call-made RPG would be my game of the year. Then Sushi Striker came out. And Octopath Traveler. And Undertale And Black Bird. In the end, The Alliance Alive didn't quite hold up as a "GOTY" contender. Still, playing through it was one of my most delightful gaming experiences of 2018, no question. Why? For starters, I found its battles absolutely thrilling. 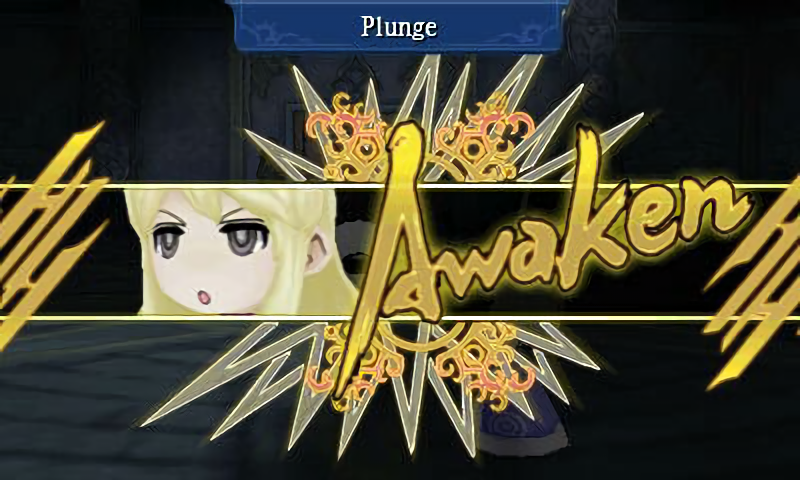 That's mainly due to how its "awakening" and "guild" systems interact with and spice up these turn-based brawls, though I have a feeling they'd still be plenty riveting even without such embellishments. Given this title's association with and relationship to the much-maligned Legend of Legacy, I can't fault folks for passing on it. The fact is, though, The Alliance Alive is a far more accessible and straightforward RPG than that 2015 release. As such, if you're up for embarking on a portable adventure and you're not opposed to whipping out your 3DS once more, I'd highly recommend picking up a copy of this Atlus-published (in North America) cart. 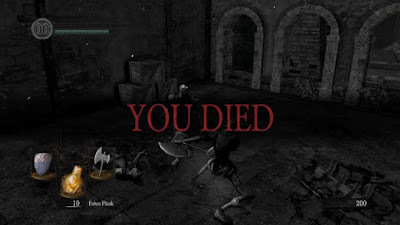 Dark Souls: Remastered (Switch)--If you had told me before I started playing it that this updated port of FromSoftware's tough-as-nails action game would be among my year-end favorites, I would've laughed in your face. After all, it's not the kind of game that usually trips my trigger, as the saying goes. As a recent post of mine points out in its headline, I typically prefer cute games to gory or scary ones. That may be true, but it's also true that it didn't take me long to become suitably impressed with Dark Souls' careful, stealthy gameplay. It helped, of course, that Remastered proved to be quite a bit less difficult than I assumed it would be. Full disclosure: this is one of the few games included here that I've yet to finish. And not only that, but I have a sinking feeling I may never see its end credits. 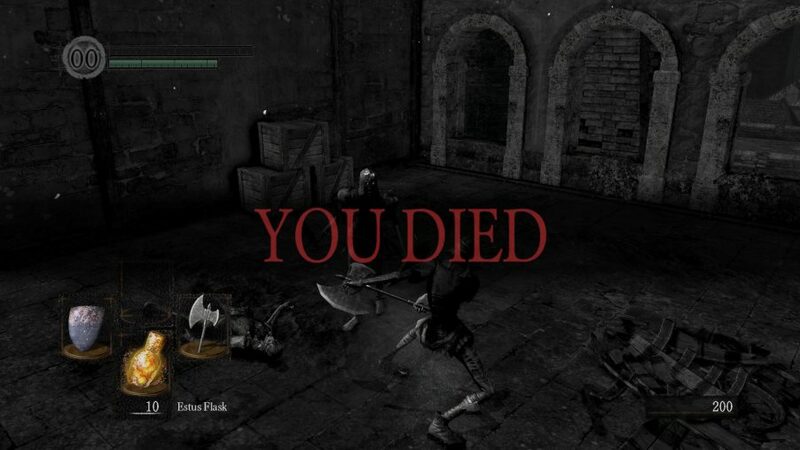 Even with my playthrough of it in an incomplete state, though, I consider Dark Souls: Remastered to be one of the true standouts of 2018. Octopath Traveler (Switch)--As was the case with The Alliance Alive for a short while, I once assumed this highly anticipated Square Enix release would be my top pick for 2018. You already know what happened after that. 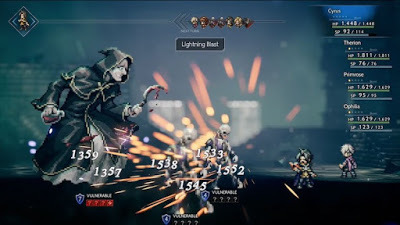 Although this SaGa-esque role-player has its share of issues (learn about them in this write-up on the "10 things I'd change about Octopath Traveler if given the chance"), it's still squarely a "my cup of tea" title. What does that mean? For one thing, it means it brings to mind some of the classic JRPGs of my youth, like Final Fantasy IV, V, and VI. But it also means it's a bit weird--à la, say, SaGa Frontier. And it means it offers up some modern flourishes, too. That hardly does justice to just how ambitious, affecting, and arresting Octopath Traveler is, however. It's filled with so many exquisite details that unpacking all of them here would be impossible. I tried to do so in another post earlier this year, though--"10 things I adore about Octopath Traveler." Pokémon: Let's Go, Eevee! (Switch)--My interest in the Pokémon series has dropped so low in recent years that I barely even thought about pre-ordering Let's Go before it hit digital and retail store shelves in mid-November. For whatever reason, though, I had a shocking change of heart right after it dropped. Boy, am I glad I did. Following a rough--or maybe I should say yawn-inducing--start, I fell deeply in love with this title's vibrant world, adorable creatures, and jubilant soundtrack. 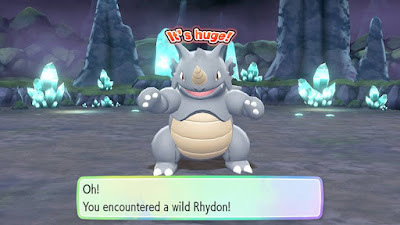 I fell in love with its snappy battles, too--which may surprise those of you who are used to complaints being leveled at this area of the game. You know what else impressed me about Let's Go? It never drags and doesn't overstay its welcome. That's something to crow about in an age when most role-playing games do whatever they can to keep you playing for 60, 80, even 100 hours or more. Want to read more about my experience with this Switch title? Check out this recent post: "How Let's Go renewed my interest in Pokémon." Shin Megami Tensei: Strange Journey Redux (3DS)--A little something you might not know about me: I'm a real apocalypse buff. So why did I wait until Redux's release to hop aboard the Strange Journey train? Because I had no idea an apocalypse was at the heart of this Shin Megami Tensei spinoff. In fact, I only decided to check it out after a Twitter friend compared its story to that of Annihilation. You know what? That person was right. 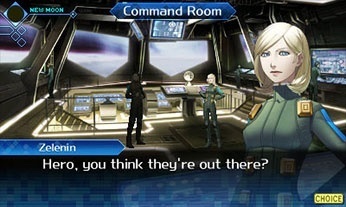 Strange Journey Redux's vibe is very similar to the one that permeates Jeff VanderMeer’s blockbuster. In other words, it's bleak, unnerving, suffocating--and kind of awe-inspiring, too. Combine that with the game's innovative battles (you can chat up enemies and entice them to join your party if you're a sweet-talker) and impressive soundtrack and you've got a dungeon-crawler that's well worth exploring in either its original or updated form. Space Dave! 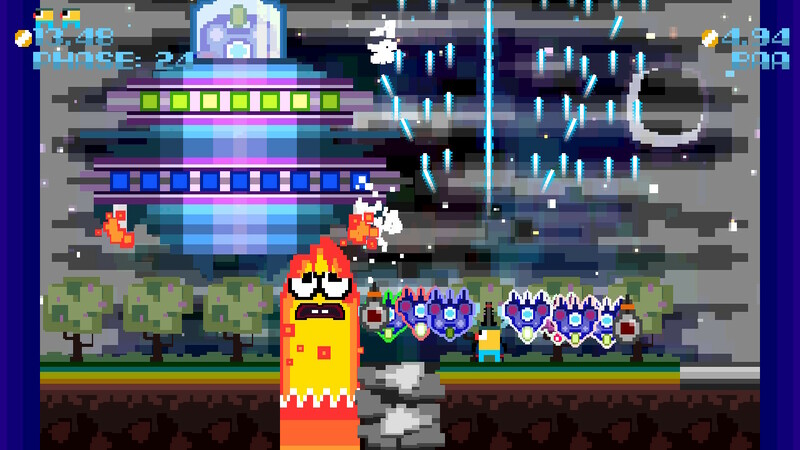 (Switch)--This Space Invaders clone is right up there with The Alliance Alive, Black Bird, and Sushi Striker as candidates for the title "most painfully overlooked and underappreciated game of 2018." Actually, comparing Space Dave! to Black Bird is especially apt, if you ask me. Both of these 2018 releases take inspiration from some bona-fide classics and then turn that source material into something spectacularly unique. If you're waffling between the two titles, by the way, I might recommend you check out Space Dave! first. It's typically half the cost of Black Bird, and it's decidedly more approachable than Onion Games' offering. It's also a meatier experience. I've yet to encounter its credit roll despite putting more than 10 hours into it, for instance. Which isn't to suggest that's the goal of this game (it's more of a high-score affair); rather, it's to suggest you'll see a whole lot more than four "boards" while playing Space Dave! For more on this Jason Cirillo-made shmup, see this write-up of mine: "A few thoughts on Space Dave! now that I've put nearly 10 hours into it." Undertale (Switch)--I'm kind of embarrassed to admit this now, but here goes anyway: one of the main reasons I never put more than about an hour into Toby Fox's much-ballyhooed RPG before I got my hands on its Switch port was its cult-classic status irritated me. Thankfully, those irrational feelings of annoyance didn't get in the way of me playing this iteration of the game right through to its credit roll. As those of you who've completed Undertale might expect, I've since slapped myself silly for passing on it for so long. If I were forced to use just one word to explain why I responded to the experience in that way, I'd go with touching. So many people have compared Undertale to EarthBound that I was prepared for it to be wacky. But I had no idea it'd be so poignant. 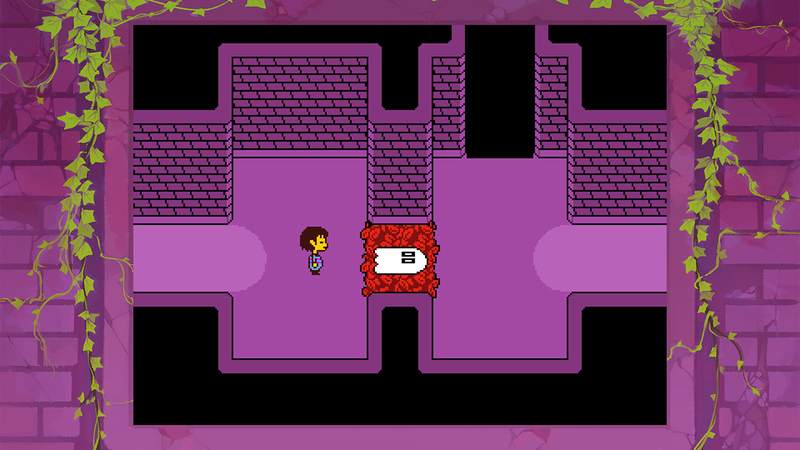 Between that aspect of this game and its brevity, you can bet your sweet bippy I'm going to play Undertale again and again in the coming years.